New guidance on lighting and its effect on bats has been welcomed by the Syntegra team as it offers advice to clients on sustainable development schemes. The Institution of Lighting Professionals (ILP) has launched the latest practical guidance on considering the impact upon bats when designing lighting schemes. They have worked with the Bat Conservation Trust (BCT) and ecological consultants to write the advice on how to avoid or reduce the harmful effects artificial lighting can have on bats and their habitats. The note includes details about lighting levels and colour temperature impacts on different bat species. International and domestic legislation protect all species of bat and their roost sites (whether bats are present at the time or not). It is illegal to kill, injure, capture, or cause disturbance that affects populations of bats, obstruct access to bat roosts, or damage or destroy bat roosts. The Wildlife and Countryside Act 1981 (as amended) protects all bats from ‘intentional’ or ‘reckless’ disturbance. Lighting near a bat roost that causes disturbance and potential abandonment of the roost could also constitute an offence and having the guidance document available helps the Syntegra lighting and ecology teams produce appropriate solutions for clients as they develop sites where bats are roosting. New development projects can reduce negative impacts of lighting on bats by utilising this guidance, said the ILP. The Bat Conservation Trust said some species have been shown to be impacted by significantly lower lighting levels than others and certain colour temperature environments also play a factor in the level of impact. However, all bats require dark roosting areas, corridors through the landscape and habitats to feed. 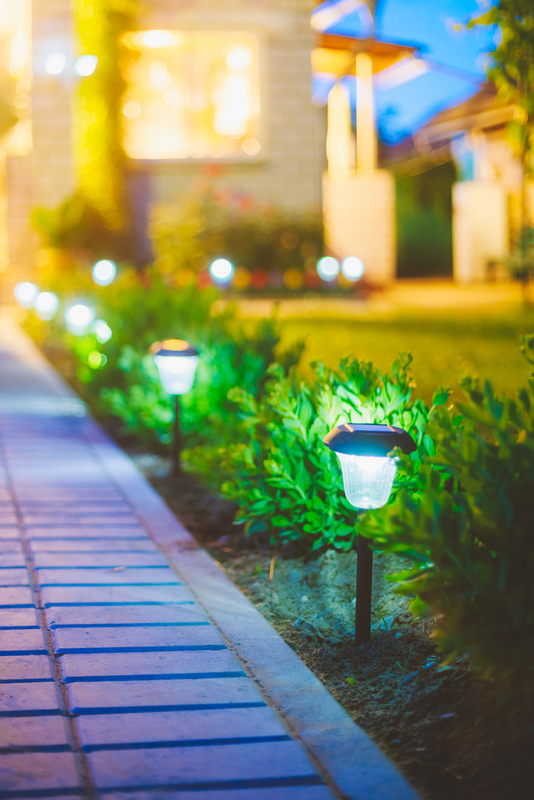 Trish Holden, Syntegra’s Director of Ecology, said: ‘Many of our agents/clients, don’t understand the implications and impact that lighting could have on nocturnal species including bats. ‘Lighting can cause a disturbance to known bat roosts and constitute an offence; therefore, it is important to understand bats’ movements/ flight paths on and adjacent to sites. A recent example in practice was a series of activity surveys on a proposed residential site near Bepton, West Sussex. The surveys found the treeline directly adjacent to the site was used as a traversing route for several Barbastelle Bats (Annex II species) with the individuals using the lane to commute from a likely roost site to foraging sites. With this information to hand and the new guidelines, we were able to ensure that the flight paths remained undisturbed and no offence was committed. The final recommendations of the report had a dark corridor in place along the tree line boundary and the dwellings will require motion sensor lighting on short timers, hooded light fixtures, no use of UV lighting, low-level direct with no upward light spill to narrow spread, and use of LED luminaires. 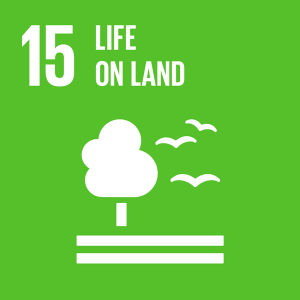 Goal 15 states: A flourishing life on land is the foundation for our life on this planet. We are all part of the planet’s ecosystem and we have caused severe damage to it through deforestation, loss of natural habitats and land degradation. 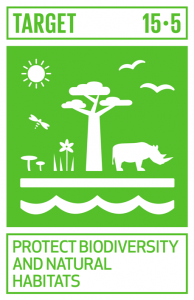 Promoting a sustainable use of our ecosystems and preserving biodiversity is not a cause. It is the key to our own survival. Take urgent and significant action to reduce the degradation of natural habitats, halt the loss of biodiversity and, by 2020, protect and prevent the extinction of threatened species.